The Trimble XR10 with HoloLens 2 is the first device created with the Microsoft HoloLens Customization Program and integrates the latest spatial computing technology into a certified solution for use with a hard hat for worker safety. The full solution provides even greater accessibility to 3D models by front-line workers. Field-oriented workflows enable broad adoption of mixed-reality for jobsite activities to improve efficiency, productivity and quality of work. 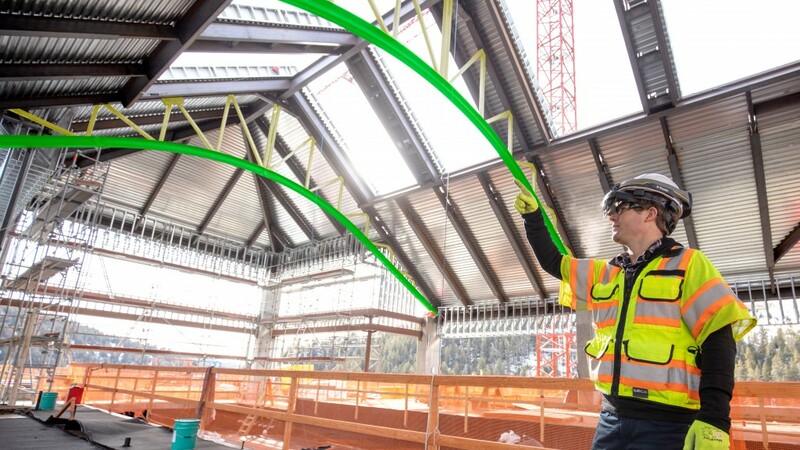 Continued development of the cloud-based collaboration platform, Trimble Connect for HoloLens, is enabling workers in the field to get more value from constructible 3D models and transform daily work such as assembly and inspections. “The ability to access and interact with holographic content has inspired new visualization, collaboration, and production workflows in enterprise markets,” said Alex Kipman, technical fellow, AI and Mixed Reality at Microsoft.